Do you love someone? I mean really love them? Give them the gift of smoky, delicious BBQ!! Use the form below to show your love. Fill out all of the required fields below. Once you hit submit at the bottom of the completed form you will be directed to PayPal to pay for the gift certificate. You can even specify a special message to your recipient telling them just how much you love them. Giving the gift of BBQ is just good karma. Give frequently and give often. BBQ Train is a casual eatery located at the historic Short Stop Food Mart on the corner of Smith Road and East 10th Street in Bloomington. 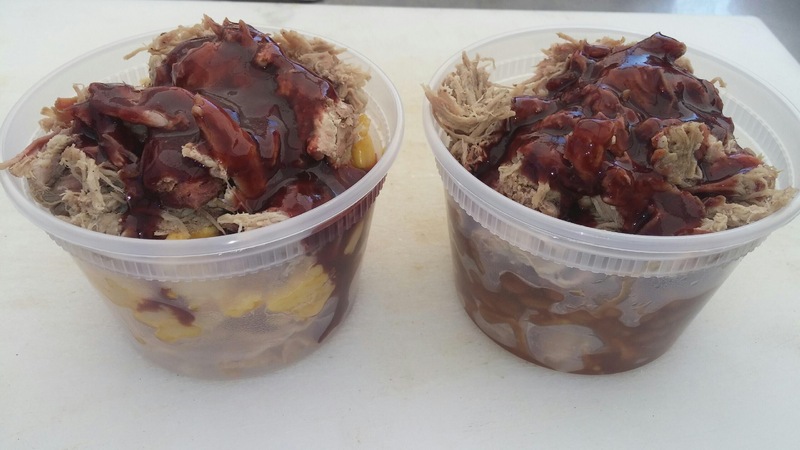 Conveniently situated in the Food Mart, the restaurant serves a variety of barbecue, from pulled pork, ribs, and chicken to burgers and brisket, all of which are accompanied by tasty sides like mac-and-cheese, baked beans, and coleslaw. 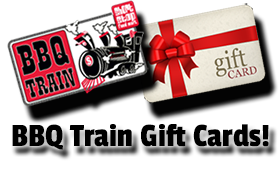 BBQ Train is open seven days a week from 10:30 am until 6:30 pm and offers catering and delivery of freshly cooked barbecue year-round. BBQ Thursday from 10:30 a.m. to 6:30 p.m.! Come try our Frito Pie and Frito Cake today!